The Head Maria Sharapova club tennis bag is a stylish bag that is perfect for women who appreciate a combination of comfort and elegance. The bag is made from Oxford Nylon (100%) and comes with adjustable shoulder straps for easy transportation, while front zipper pocket makes the bag very functional. The Head Maria Sharapova club tennis bag also features the CCT+ thermal foil which protects the racket from extreme temperatures. This white and gold bag has a fixed outside pocket for 1 racket with the handle sticking out. 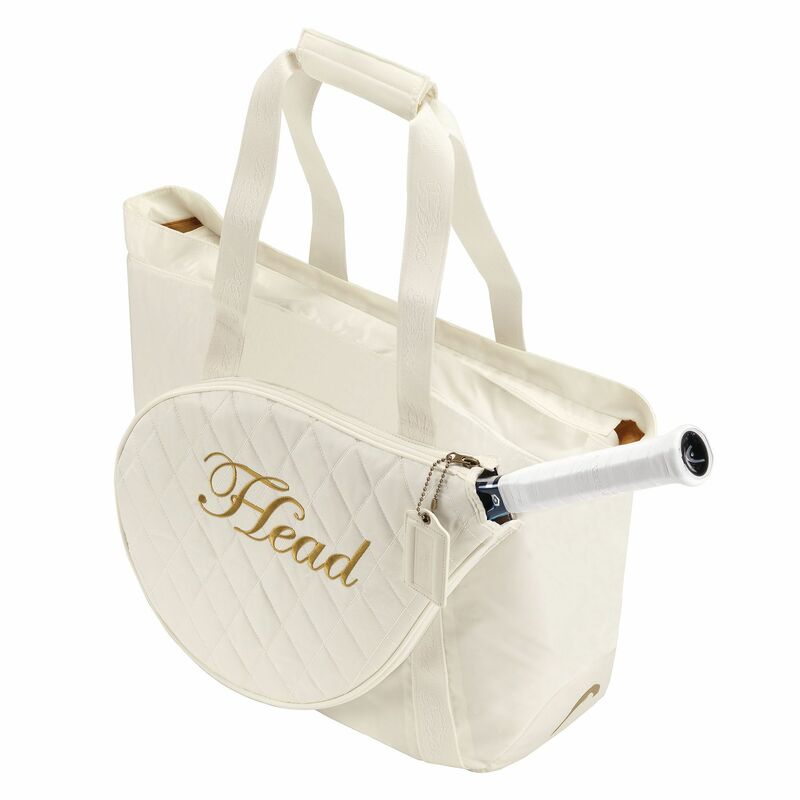 for submitting product review about Head Maria Sharapova Club Tennis Bag.